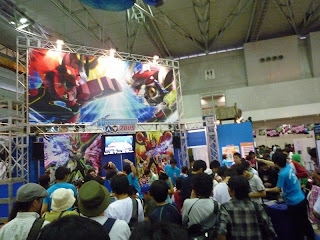 Rockman Corner: World Hobby Fair To Host Special Announcement? World Hobby Fair To Host Special Announcement? According to Dark Messiah, the pamphlet for Capcom's booth notes that a special announcement will be made tomorrow, the 21st. The pamphlet does not specify what the announcement is about, but DM speculates it could relate to a formal unveiling of the new Rockman game that Clock Genius belongs to. Of course, there's always a chance it isn't related to Rockman at all. Plff. If they announce it there I'll eat my DS. Good thing I can't find it. But still, I really doubt it.